Posted on October 10, 2018 October 10, 2018 by Laura P.
An online petition pertaining to the mainstream adoption of Ripple’s XRP that was created months ago has recently gained a lot of steam. 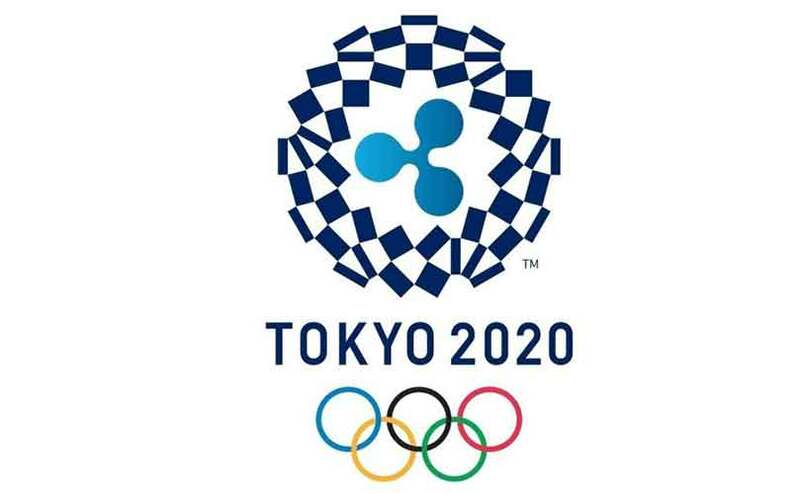 Dubbed change.org, the petition that was reportedly created by Ken Takahashi, a Japanese citizen, is aimed at the Olympic Games Committee and it proposes that Ripple’s XRP token should be adopted as an official cryptocurrency in the upcoming 2020 Tokyo Olympics. Initially, the petition aimed at getting a total of 7,5000 signatures before it was submitted to the International Olympic Committee (IOC), but the number has since been surpassed with the total count currently standing at around 15,000 signatures. According to the creator of the petition, Ken Takahashi, XRP is capable of solving a number of logistical problems that have often accompanied large international sports events such as the Olympics especially when it comes to foreign exchange. So, instead of putting enormous pressure on the Japanese Yen in 2020, the petition proposed that a system that uses XRP be created and implemented. “As tourists stream into the country, demand for the local currency skyrockets, causing long lines at currency exchanges, as seen at past events like Beijing 2008 and Rio de Janeiro 2016. Confusing exchange rates and language barriers further complicate the problem. We believe that the fast transaction times and security of Ripple Lab’s XRP cryptocurrency would be a great contribution towards solving this problem,” reads a section of the online petition. The arguments presented in the petition could not be more sensible – it seems natural that the borderless nature of crypto would be used at an international event that is attended by people from all corners of the globe. In fact, if such a thing happens, it would be a huge step forward towards mainstream adoption of digital currencies. Despite the fact that Japan witnessed the biggest crypto heist in the world earlier this year, it has remained quite open to crypto adoption – this shows how deep-rooted cryptocurrencies are in the country. As such, the 2020 Tokyo Olympics present a golden opportunity to test the potential of crypto to help in saving time and money for the global influx of Olympic fans and tourists. Unfortunately, while the case can be made for the benefits that a crypto-powered gaming event has been made, the problem in this particular case lies with XRP itself. Ripple has not focused much on mainstream adoption with XRP even though the platform has been gaining a lot of popularity due to its application for cross-border transactions between organizations. Frankly speaking, XRP might be the third-ranked digital currency on the planet but its application in the Olympics might be too premature especially because it is still in its early stages and is yet to gain enough traction in the mainstream commercial arena. However, in retrospective, the period between now and the 2020 Olympics is a fairly long time more so when speaking of the crypto industry – who knows what changes may be introduced? Posted on August 29, 2018 by Laura P.
A little over a month ago, Google banned cryptocurrency mining apps from its Play Store – this was made official when on July 27 the company pushed an update reading “we don’t allow apps that mine cryptocurrency on devices” to its developer policy. All of the existing apps that were in violation of the updated policy were given a 30-day grace period within which they were to revise their products to ensure that they comply with the new terms or face removal from the Play Store. It has been 30 days since the ban was issued but despite the fact that the deferral period has expired, some apps that enable on-device crypto mining can still be found on the Play Store. Google is not entirely at fault in this case since it has been purging some of the offending apps. However, as it turns out, there is still a lot more work to be done. The company’s inspiration can be partly attributed to a number of security concerns that have led to probes and investigations into ICOs and crypto firms. Earlier this month, the Google Play Store reportedly hosted an Ethereum (ETH) scam application. Discovered by Lukas Stefanko, a Slovakian malware researcher, the fraudulent “Ethereum” app was being offered for purchase at a price of around $388. According to Stefanko, the scam app was intended to dupe uninformed buyers into purchasing it when they mistook it for the original Ethereum cryptocurrency. Some of the apps that are reportedly in violation of Google’s new developer policy but are still being hosted in the Play Store include Crypto Miner PRO, Pocket Miner, NeoNeonMiner and Pickaxe Miner. MinerGate, one of the mining apps that was axed from the store boasted of more than a million Android installs. The developers behind the app are however not amused because according to them they had made changes to the app in order to comply with Google’s updated developer policy. Google begin its crackdown on crypto mining software when it announced that it be removing mining extensions from its Chrome Web Store following a revelation that a huge number of them were supposedly not in compliance with the company’s policies. The focus has since shifted to the Play Store and the affected parties are being to get crafty. Many developers are already trying to find ways to bypass Google’s ban and distribute apps and Chrome extensions with on-device mining capabilities. Still, it will be up to users to decide on the best cause of action with regards to accessing apps with similar functionalities – downloading and installing apps from third parties is very risky. Be warned.